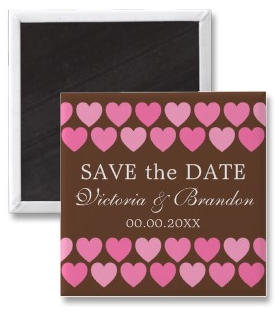 Cute wedding save the date magnet featuring romantic hearts in different shades of pink on a chocolate brown background. Customizable text, add your wedding date and the names of the bride and groom. Also available in other colors. Custom colors are available on request. Click on the image for details.